I moved to San Luis Obispo in 2005 with a connection to the Better Late Than Never bluegrass band and quickly met Peter Morin who lent me his PA so that I could put on a concert with John Reischman and Jaybirds at Hunter Ranch. The Jaybirds had never played the Central Coast before and many bluegrass fans from the area were overjoyed to see them play. Sally Vedder, Don Lampson, Glenn Horn, Roger Siminoff, Charlie Kleeman were early friends of mine here. Roger, Glenn and I organized the first local bluegrass jam at The Porch in Santa Margarita which brought pickers from Paso Robles to Santa Maria. I pulled everyone together to play at a party Toni and I put on to celebrate my birthday and our anniversary. It was a fun evening and concert. Sally Vedder and Scott Smith joined me for a short period in a trio we called Clearview and played a few gigs. 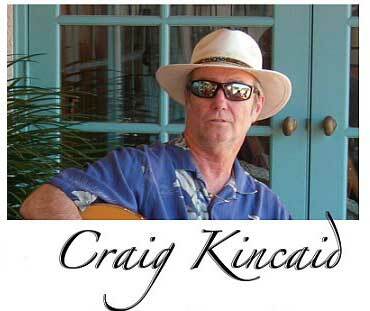 I've headlined at Linnaea's in SLO several times, played the Clubhouse, The Range Restaurant and The Porch (in Santa Margarita), and at private homes during the Central Coast Botancial Garden Tours. I am a board member of the San Luis Obispo Folk Music Society (we produce monthly concerts for touring folk music artists) and the Bluegrass Music Society of the Central Coast (we produce the Parkfield Bluegrass Festival every year). Other fine Central Coast musicians that I am happy to be friends with are Dan Wolf, Peter Yelda, Ted Waterhouse, Julio Boysenberry, Robert Keane and Jimmy Harrell. A few months ago, Jim Thurman and I met at a pickin' party and decided to get together and see if something would happen. During our first session I heard several of his original songs and taught him a couple of mine and found common ground in Hazel Dicken's "West Virginia, You are My Home". We've been playing together ever since and are looking to record a CD in November. I play mandolin, acoustic and electric guitar. I've recorded my first CD, "Songs You Didn't Know I Wrote", which you can hear short versions from at my website on Craig's Music Pages.